I’ve never been a huge fan of strawberry flavouring, usually because it’s never had anything to do with a real strawberry. But fresh strawberries have always been a favourite of mine, so I decided to experiment. I used the same sweet cream base from the vegan vanilla ice cream, to which I added 12 medium/large mashed up strawberries. 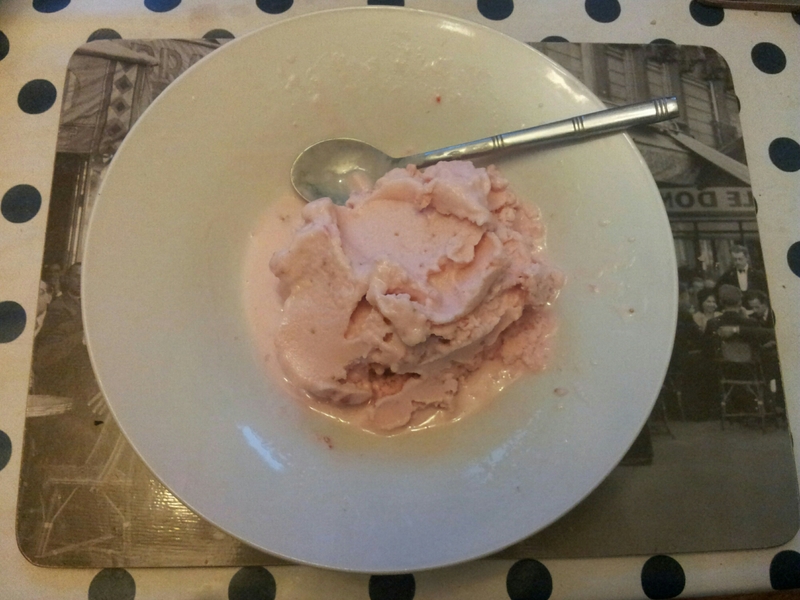 I just used a fork to mash them as the fruit released quite a lot of juice, but there were still enough pieces to give you a strawberry hit when you find one in your ice cream. Into the machine it went and 20 minutes later out came a delicious, pink, fruity, summer treat. Definitely one to make again!